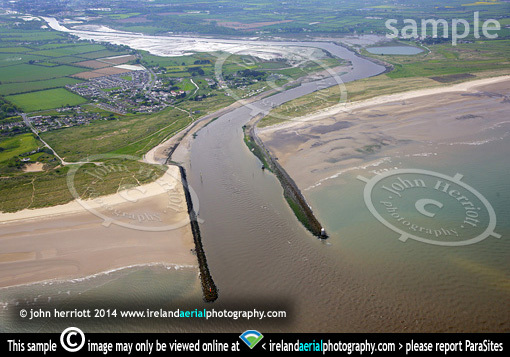 Boyne river estuary aerial photo, Co Meath, Co Louth. Aerial photo of the river Boyne estuary and up river to Drogheda at top left. from Drogheda town. To the left here is county Meath with Mornington Manor. To the right is county Louth.